The poignant, beautiful, heartbreaking days continue. Today we said farewell to Point Pleasant, WV as about 300 lined the banks to say their goodbyes. 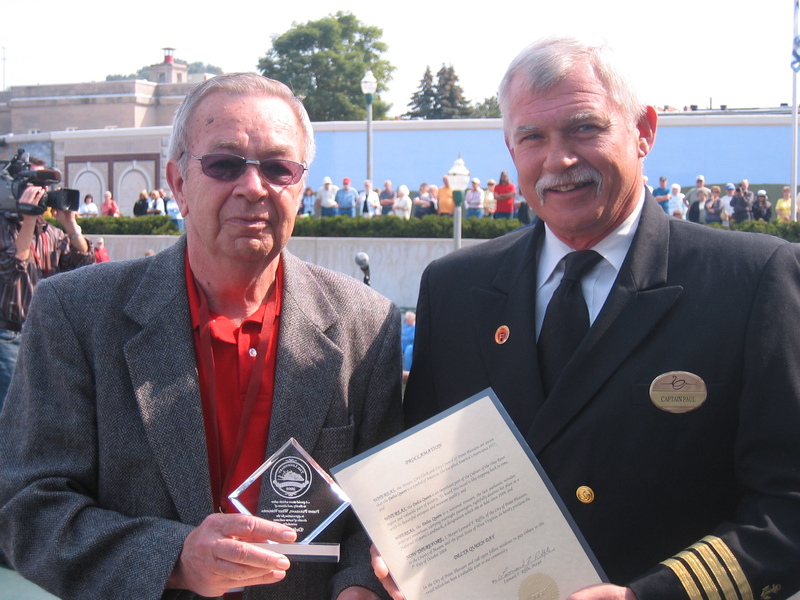 Mayor Riffle made some very nice remarks and Delta Queen Captain Paul Thoeny presented the city with a lovely plaque. Local costumed historical characters fired black powder musket salutes and the towboat “Fred Way” docked alongside. Fred Way was the Delta Queen’s first pilot after she came around from California in 1947. It was a touching gesture. They even escorted us several miles downriver. What a terrific tribute by the city and local citizens. Many passengers and crew were deeply moved. We continue to hope that the DQ will visit Point Pleasant again someday.